Family Friendly Carvery and more at the "Eagle & Sun"
The Eagle and Sun can offer you a fabulous selection of local meats. We keep everything as local as we possibly can. When it comes to taste, we are sure you know the difference and it also means Minimal Carbon footprint. Our Vegetables, according to seasons are grown locally - We support small independent local producers. You can dine and watch the Narrow Boats go by on the side of the Worcester -Birmingham canal, which is well known for its locks, 58 in all climbing 428 feet from the level of the River Severn in Worcester up to Birmingham. 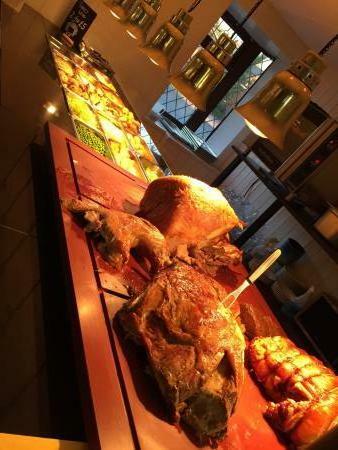 The Carvery is always served every lunchtime and evening. When ordering any food or drink please order at the bar where our team will help cater for your every need. At busy times your order may take longer to prepare. This is because all our dishes are made from fresh ingredients which allow us to bring our passion for food to you. Gluten free or vegetarian gravy is available to accompany your meal, please let a member of our team know of any dietary requirements before ordering your meals. Ingredient and Alergy infomation are available from the Staff. Brewed by Charles Wells (Marston's). “The aroma is of freshly sliced ripe apples. Its amber hue is emphasised by a tight rich head which set it up as an Ale with real credentials”. Eagle and Sun in "The Times"
A very refreshing session beer with citrus aftertones. GDPR - We take your Personal Data very seriously! Fantastic Sunday Carvery, Brilliant locally sources joints and the Turkey was so succulent. All prices include VAT, all items are subject to availability, all weights quoted are raw weight and approximate. Some of our fish may contain bones even though care has been taken in removing them . Some dishes may contain nuts! Please state any allergies / dientry requirements when ordering at the bar - Thank You.